This year, my mom celebrated her birthday with us, and I think she had a great day! 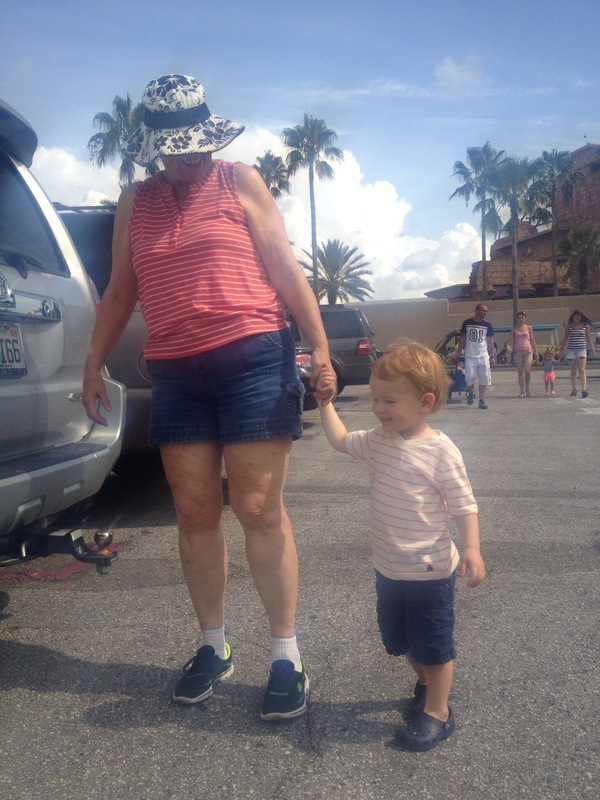 My parents, Henry, and I headed out to Busch Gardens to play despite it being five-thousand degrees outside because we have passes courtesy of my sis-in-law, Amanda, who works for the company. It is super nice because we don’t have to spend all day there trying to cram everything in, and can take time to enjoy and focus on seeing only a portion of the park. This visit, we saw a few types of birds on our way to the Sesame Street Safari of Fun (http://seaworldparks.com/en/buschgardens-tampa/attractions/other-attractions/sesame-street-safari-of-fun/). Henry loved the pink flamingos sunning themselves by a pond, and my dad loved the toucans who were goofily flying about. When we reached our main target for the day, Sesame Street, Henry was in heaven. He hugged and high-fived Big Bird, and rode a few kiddie rides solo and with me. I think he liked Rosita’s Djembe Fly Away the best. 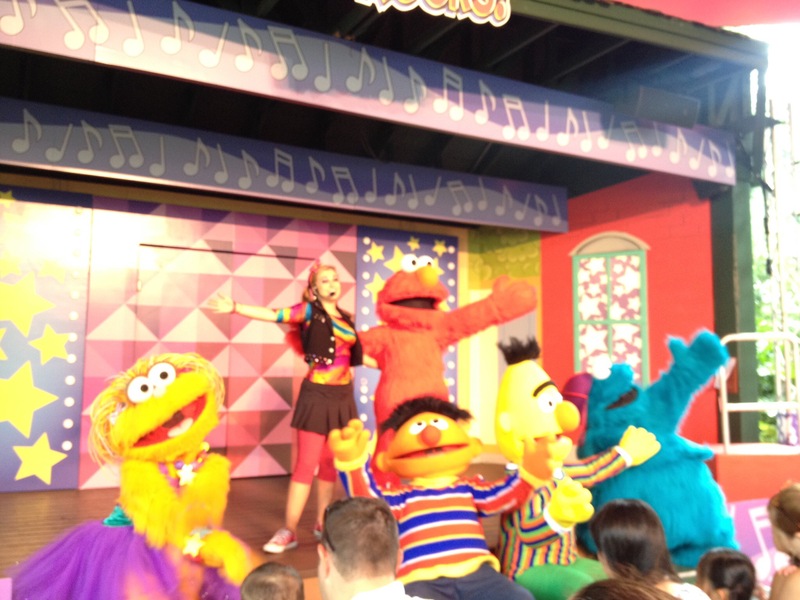 But not as much as he liked the Elmo Rocks show, where he watched Elmo, Zoe, Bert, Ernie, and Cookie Monster rock out to classic rock songs and he danced along with them. It started pouring halfway through the show, so we had a 10 minute or so intermission, but the Sesame Street gang came back out and finished, slipping and sliding a bit on the stage. 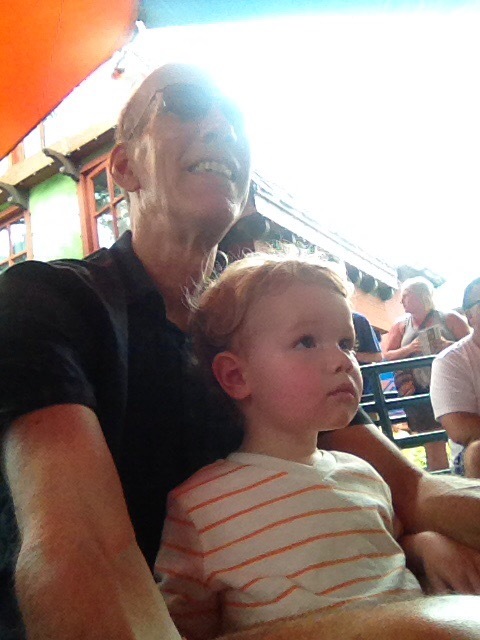 The giant thunderstorm prevented us from riding more rides or seeing any animals besides the birds, but Henry loved racing in his stroller through the park steered by Grandpop and getting wet in the process. The adults were just happy to be home afterwards, dry, and napping. We finished the day with a family birthday dinner at Cody’s Roadhouse since my mom wanted steak (her favorite), and the Walbolt’s joined us, too. 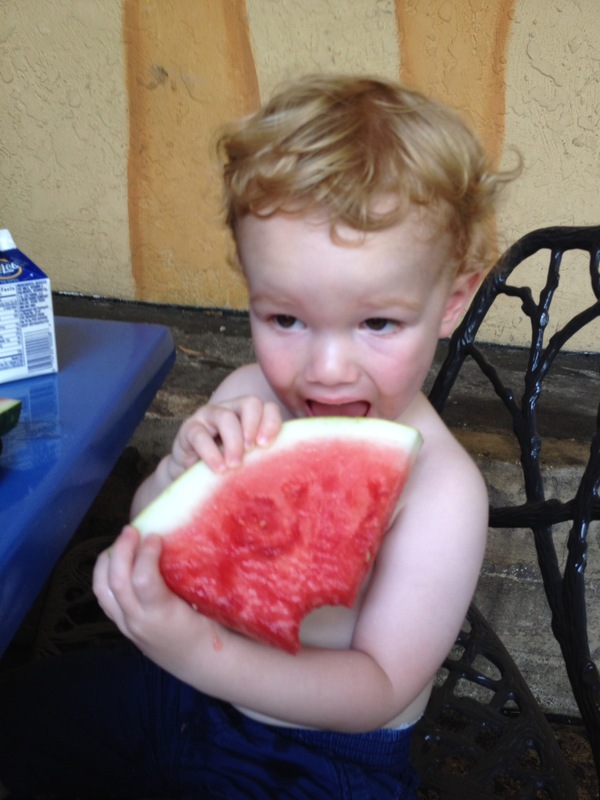 Henry had a blast with both sets of grandparents at the same time, and we all had an enjoyable dinner time.